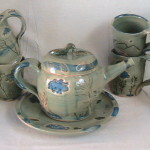 Earthenware majolica tea set. Special orders taken. Call for delivery times. This whimsical plate design (approx. 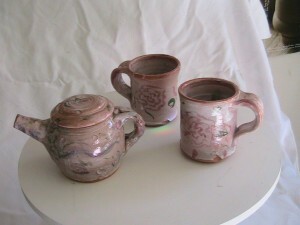 7 in diameter) has matching mugs and bowls. 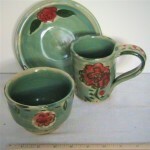 Medium Green Celadon floral plate. 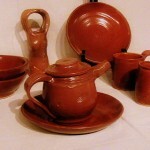 Buff stoneware.